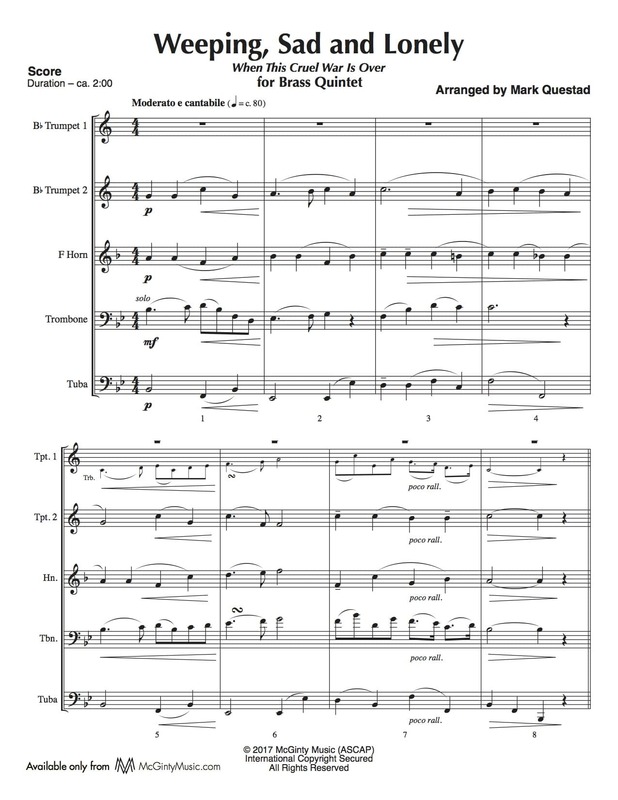 Weeping, Sad and Lonely – Brass Quintet | McGinty Music, LLC. The music was written by Henry Tucker, the lyrics by Charles Carroll Sawyer. When you vow’d to me and country, ever to be true. CHORUS: Weeping, sad and lonely, hopes and fears how vain! Or when autumn leaves are falling, sadly breathes the song. Lonely, wounded, even dying, calling but in vain. Who would whisper words of comfort, who would soothe your pain? Ah! The many cruel fancies, ever in my brain. While our nation’s sons are fighting, we can only pray. How we loved the starry banner, emblem of the free.